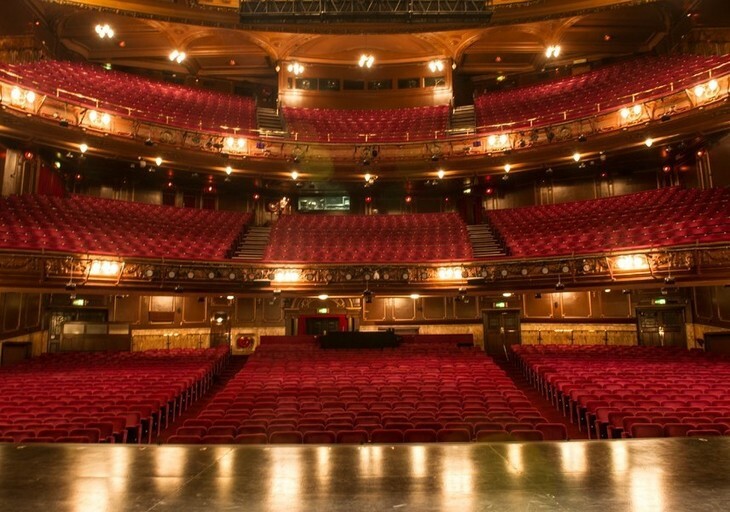 Which Is London's Largest Theatre? Zoe Craig Which Is London's Largest Theatre? 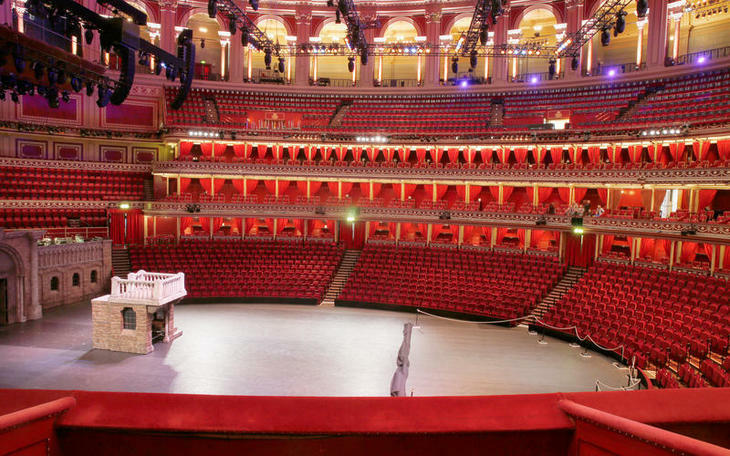 Inside the Royal Albert Hall. It's a tricky thing to define: when is a theatre not a theatre, but a concert hall? Does the presence of the occasional piece of 'live drama' (be it dance, opera, or musical theatre) determine that a venue can be called a theatre? In the end, that's the definition we've gone with for the purposes of this piece. Call us snobs, but we're not sure we consider WWE Raw, Good Mourning Mrs Brown or Disney on Ice: Frozen as theatre. So ignoring The O2 Arena (capacity 20,000), here are London's five largest 'theatres' by seating capacity. The Palladium was built in 1910 to compete with the London Hippodrome and the London Coliseum. Inside the London Palladium. Photo from reallyusefultheatres.co.uk. The theatre is especially linked to the Royal Variety Performances, and has hosted the show on 40 separate occasions. Performers have included Vesta Tilley, Laurel and Hardy and The Beatles. The London Palladium turned 100 years old on Boxing Day 2010, and a one-hour television special entitled '100 Years of the Palladium' aired on BBC Two on New Year's Eve of that year. According to wikipedia, the Coliseum is 'the largest theatre in London.' And in some ways, that may be right. The Coliseum is perhaps the largest place you can regularly see 'theatre', that is drama, opera and dance on stage, rather than music concerts or stand-up comedians. And if that's your definition, you can probably stop reading now, and feel content that you have the answer. Built by the theatrical architect Frank Matcham, the Coliseum was planned as London's largest and most luxurious "family" variety theatres. Construction started in 1903 and it opened on 24 December the following year as the London Coliseum Theatre of Varieties. 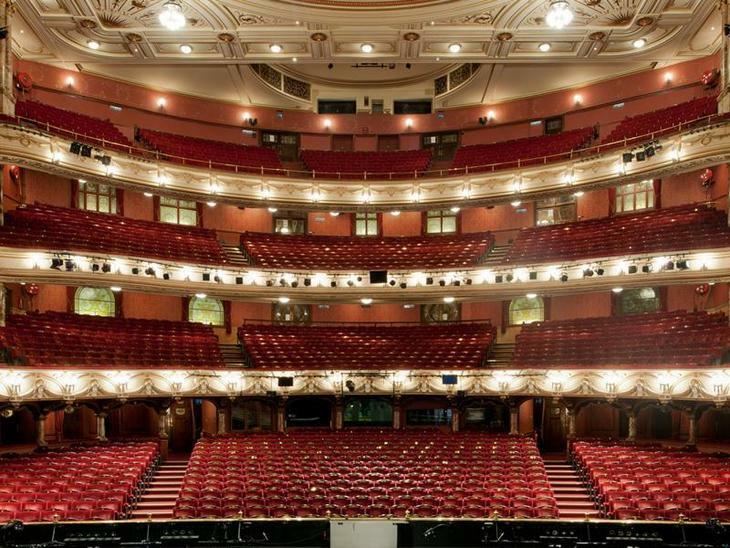 Today, the Coliseum is home to the English National Opera and the English National Ballet. Not all of its 2,359 seats are always used for theatregoers — in the 2016/17 production of Nutcracker, a choir took over one of the boxes, making a surprise appearance halfway through the show. 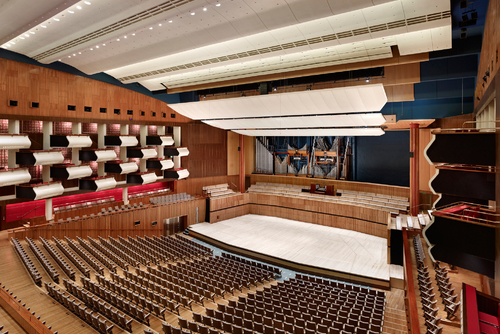 The Grade I-listed Royal Festival hall was built for the Festival of Britain and opened in May 1951. Inside the Royal Festival Hall. Today, it's home to the London Philharmonic Orchestra, the Philharmonia Orchestra, and the Orchestra of the Age of Enlightenment. Is the Royal Festival Hall a theatre? It's definitely a concert hall, and you can see dance shows as well as book readings, author events and more at the venue. The English National Ballet will be at the venue in August this year; at Christmas time, shows like Slava's Snowshow certainly fit the 'theatrical' bill. Whether you call it the Hammersmith Odeon or Hammersmith Apollo (depending on your age, but never the Eventim Apollo; no, no, no) this venue has a total of 3,326 seats, with 298 standing places also available: 120 in the stalls and 178 in the dress circle, should the box office choose to sell them. When all the stalls seats are removed, there's space for around 3,000 standing places, taking this venue's capacity to about 5,000. Again, you might argue that the Hammersmith Apollo isn't really a theatre: most of the events on offer are music or comedy shows. Back in the 1990s, though, there were regular musical theatre shows at the Apollo, including Joseph and the Amazing Technicolour Dreamcoat, Riverdance, and even the 1998 world premiere of the Doctor Dolittle musical, starring Phillip Schofield. And we think that makes it a theatre. 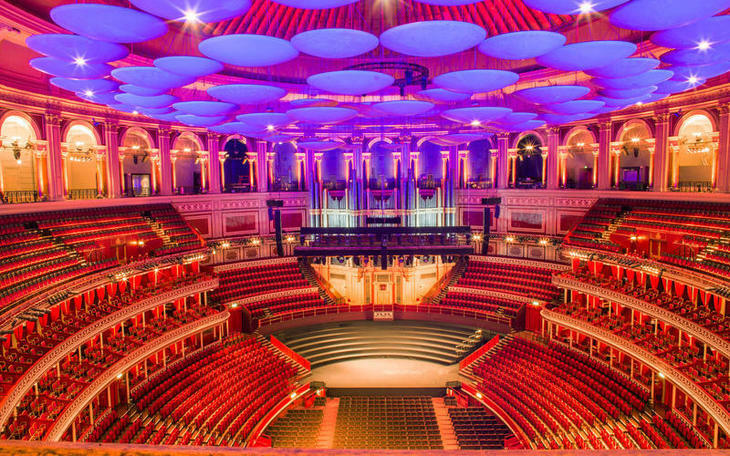 Finally, then, ignoring The O2, we reckon the Royal Albert Hall wins the claim to be London's largest theatre, in terms of seating capacity, with space for nearly 4,000 people in its plush red seats. 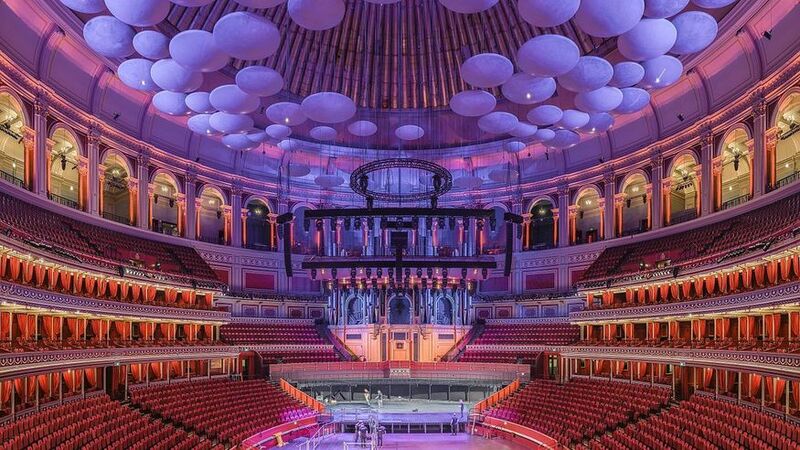 Like the Festival Hall and the Hammersmith Apollo, you could argue that the Royal Albert Hall is a concert hall first, and a theatre second. But with regular shows by the English National Ballet and Cirque du Soleil, as well as hosting the Royal Variety Performance, we think it's earned its place on a list of London's largest theatres. Indeed, between 2006 to 2010, the Hall regularly won 'International Theatre Of The Year' in the Pollstar Awards. But we'd love to hear your thoughts on the list. 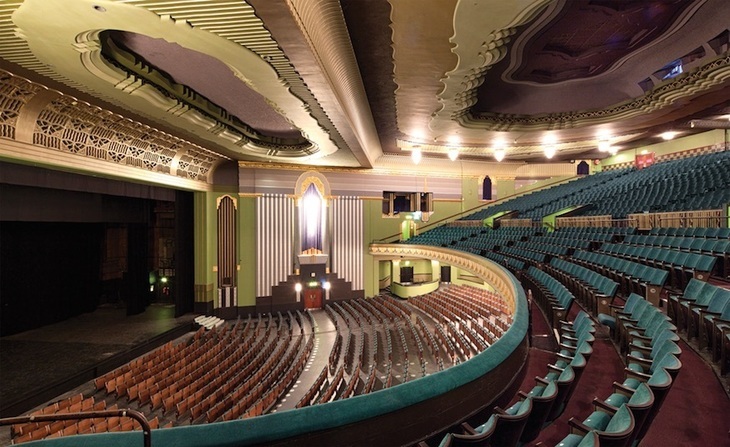 What do you consider to be London's largest theatre?